Craig Sproule is the founder and CEO of Crowd Machine. Previously, he founded Metavine and a successful systems integration firm that completed hundreds of enterprise-class development engagements in various industries over 17 years. From these projects, he developed Crowd Machine, an innovative approach to the decentralized application lifecycle that enables companies to achieve agnostic blockchain integration orders of magnitude faster than current methods. 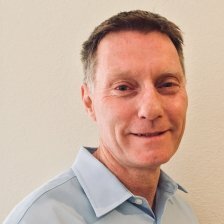 With more than 30 years experience in the enterprise software sector, Craig has also held senior technology and management positions at several leading software companies. He holds several patents and was previously named as Australian Developer of the year.